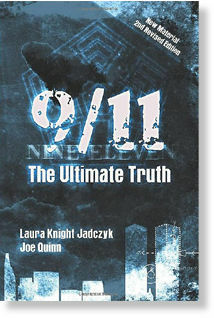 I h ave already pointed out the many glaring inconsistencies in the official account of the the ‘killing of Bin Laden’. But even as I write the story continues to fall apart. According to Pakistani Urdu TV channel Geo News quoting Pakistani intelligence officials, the incident involved a search operation launched by the Pakistani forces “after a Pakistani army helicopter was shot down in the wee hours of Monday in Abbotabad” According the source, at about 1:20 a.m. local time a Pakistani helicopter was “shot down by unknown people in the Sikandarabad area of Abbotabad”. The Pakistani forces launched a search operation in the nearby area and “encountered with a group of unknown armed people. A fire exchange followed between the two sides.”Now, this could simply be a case of Pakistani officials attempting to save face in the context of a flagrant and very public breach of Pakistani sovereignty, but even so, the official US government story still makes no sense whatsoever, and given that it comes essentially from the same cabal of psychopathic war-mongers who gave us the Iraq war lies etc., we have every reason NOT to believe it. All of the available evidence strongly suggests that Bin Laden died many years ago. Nevertheless, the war-mongers and ‘reality creators’ in the US of A and elsewhere decided that he was just too damn perfect as an terrorist mastermind (think baddie in James Bond) to let him (or us) off the hook so easily. So, they used his image and attributed the 9/11 attacks and a host of other ‘terrorist’ crimes since then to him (without any evidence). But the fact that he was, in reality, quite dead, was an issue that the backroom boys in the Pentagon and the CIA were always going to have to face one day. And in case you’re wondering, the idea of allowing him to simply fade from public awareness was a non-starter, not due to any considerations of honor or justice, but rather because of the massive ‘political capital’ that his capture or killing would provide. Joking aside, we will probably never know the full details, but using the available data, past and present, we can build up a picture of the most likely circumstances surrounding the ‘death of Bin Laden’. Only very few people with high-level Pentagon and CIA security clearances would have been aware of the full facts of the plan. 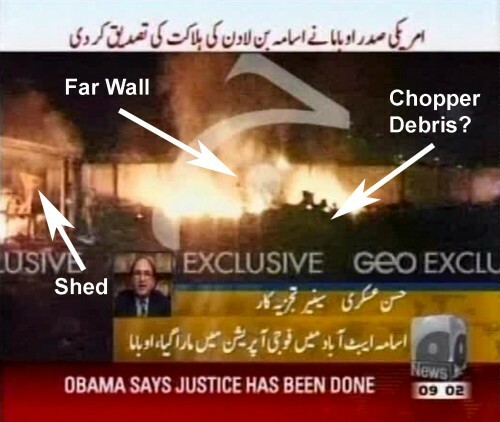 As far as people like Obama and his team and the Navy SEALs (who would actually carry out the mission) were concerned, the real Osama really had been found in a ‘compound’ in Pakistan. 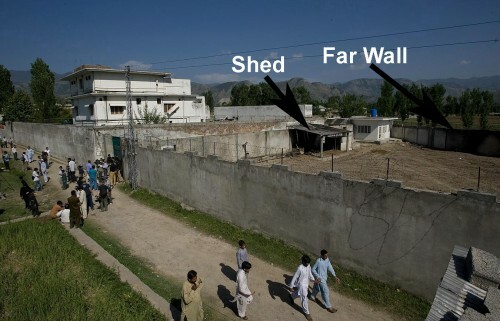 This particular compound was in fact a Pakistani intelligence/CIA safe house containing former Islamic militants (and families) who had been captured and ‘turned’ by the ISI and the CIA and who were being used as informers. 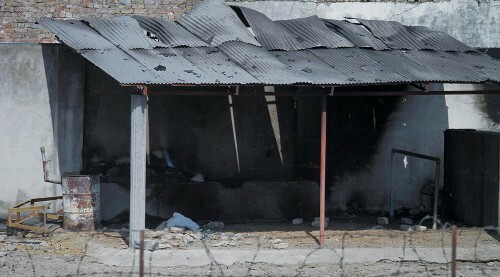 Alternatively, the occupants were members of a militant Pakistani Islamic groups that the ISI is known to maintain for the purpose of fighting against the Indians in disputed Kashmir region. It had no telephone lines, which is in keeping with a secure communications capability. It had a bank of six generators on the roof for electricity. This is in keeping with the need for continued operation of electrical equipment (including the satellite links – see below) in the case of a power outage. It was built for self-sufficiency of the occupants to limit their need to leave the premises if necessary. It was built for privacy for the same reason. Despite the fact that the US government claimed there was no high-tech equipment in the house, there clearly was. There were at least two satellite dishes, one of which was removed immediately after the attack. 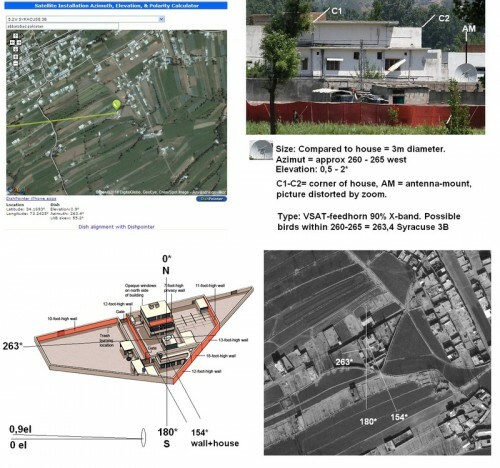 “Images of the alleged ‘Osama compound’ reveal a VSAT antenna. The antenna is roughly 3 meters in height, enough to reach over the ‘compound’ walls. What is most interesting however is that this antenna is aimed North towards the mountains when almost all Pakistani domestic antennas are aimed upwards at a 50 degree angle. This antenna was aimed towards a French military satellite, namely Syracuse 3B. This would allow for world-wide contact via voice, 64-512 kbs data, or 2-8 mb video streams. I believe this VSAT was used […] to communicate with the outside world. Shortly after the attack, American Special Forces removed said antenna. This satellite (2006-033B/29273) was launched on 11 Aug 2006 from Kourou, French Guiana on an Ariane 5 rocket and is stationed at 5 degrees west. You can find more of his notes on the UHF-Satcom.com website here. You can find info on the first satellite of this series, Syracuse 3A here. If correct (and it fits with my analysis), it is rather unlikely that Osama or ‘al-Qaeda’ would have access to a French military/NATO satellite. But the ISI and CIA certainly would have. Residents in the vicinity of the ‘compound’ reported that cellular telephone and electrical service in the area went out around the time the raid began and was restored immediately after the Americans departed the area. This fact is highly suggestive of a support team on the ground with access to the local electrical network. This support team could have been ISI, CIA or both working together. Indeed, the ISI said that it was joint operation, while the US government, on the other hand, claim that they did not inform the Pakistanis until it was all over. 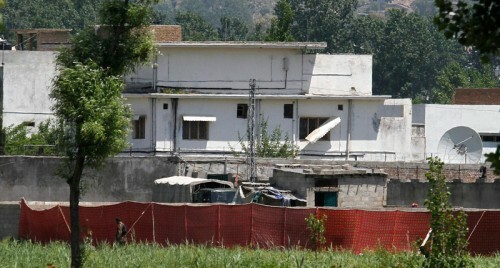 It has since been revealed that the CIA had an ‘office’ in Abbottabad. As already noted, local residents were suspicious of the people in the compound, and some believed them to be “smugglers or drug dealers”. Two men from the compound were described as “tall, fair skinned and bearded”. Not exactly your typical Saudi, Pakistani or Afghan. What we are seeing in these images appears to be the result of the downed helicopter that was later carted away on a tractor. The official story of why is ‘malfunctioned’ is that it “stalled in a vortex created by its own prop wash and the high compound walls”. I know little of such aeronautical matters, but it seems unlikely to me that an advanced helicopter would suffer such a catastrophic failure while hovering over a large area with 10 feet high walls. It also seems strange that it would explode into flames as a result of such a failure. 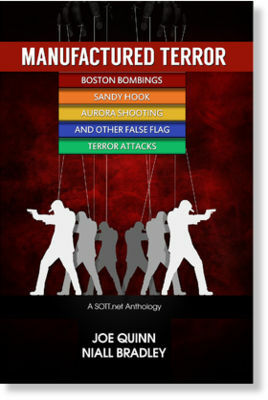 Then again, the official version of events has the Navy SEAL team destroying the helicopter before they left. On entering the house then it seems likely that the SEAL team, having surprised a group of men, women and children in the middle of the night, met no resistance whatsoever, despite official claims of a lone gunman. The SEAL team was undoubtedly either accompanied by, or was partially comprised of, CIA agents (glorified military grunts like Navy SEALS are motivated by a misguided sense of duty and are not informed about the real nature of covert actions.) Moving through the floors of the house the team killed four men and one woman. The CIA then took away one of the men’s bodies and dumped it at sea. 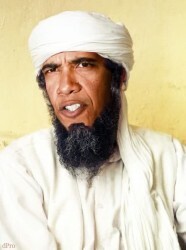 They have since claimed that this was Osama bin Laden. The Navy SEAL team were none the wiser. After all, the guy the CIA took away had a beard right? The report that he shouted “It’s not me!”, just before he was shot, notwithstanding. In short, this was a more or less standard covert operation of the type that has probably occurred often in the past. The difference in this case is that it was decided that it was time to cash in the political capital that was the ‘killing’ of Osama bin Laden and a narrative to that effect was grafted onto this operation. The point to keep in mind throughout is that we are dealing with outrageously bold-faced deception here. We’re dealing with government officials and intelligence operatives who are part of the system that led to the murder of over 1 million Iraqis in the name of ‘freedom and democracy’. What do you think they wouldn’t do if they could get away with it? But what really galls me is the part being played by the Western press that bought (and sold to us) all of the government lies about Iraq. When those lies were exposed years later, the same media outlets admitted that they were wrong to accept US and other government claims without checking the facts. Very bad, mistake made, lesson learned, right? Not so it seems, because, in case you haven’t noticed, the mainstream media outlets are doing exactly the same thing with the ‘Osama’s dead’ story. They have, apparently, learned nothing. They’re watching the exact same governments attempting to do the exact same ‘”fixing of facts around the policy”, and they’re lapping it up, yet again, like the pusillanimous hacks they are. But perhaps I am being too harsh. Perhaps I am just reluctant to admit that it is, and always has been, the job of the mainstream media to act as the mouthpiece of corrupt government, to spread lies and disinformation to the masses, and that media admissions of guilt and remorse over Iraq were simply more lies to cover up their treachery. Wow, very impressive analysis. This is now competing with 911 and swiss cheese for the number of holes the official story has. It's the nature of the beast Mike. They're so full of wishful thinking and immersed in themselves and their own reality that they can't even conceive that they could be exposing themselves for the inveterate psychopaths they are. How about “The Spy Who Loved Me”? Damn, forgot that one Henry! good points in this article. There are too many details to keep up with and a corrupt main-stream news problem only deepens the problem. How can any America look at White House last ditch re-election effort story and think it is true? Too many! We are screwed. The White House press secretary is starting to crumble from the pressure. It is fun to watch him systematically fall apart one press conference at a time. Impressive stuff Joe. Here's what I think happened. It's like this, you get your local asset who is either retired or serving military man to buy a house in an army area, furnish the house and even letting local people live there to make it look as someone has been living there for years. Then you ask those people to leave and you either fly dead or alive look alike of the target and dump him there along with others. Involve the local agencies/military leadership. Stage a fake encounter and kill him and blame the host country for harboring the target and voila!! you have achieved two targets, ONE: got the perfect excuse to pullout from Afghanistan's quagmire, TWO: blame Pakistan for being the new axis of evil. Easy isn't it? That sounds about right to me Bilal. Great research! Great passion for truth and justice! Keep up the excellent, investigative journalism (i.e. real journalism)! Give this man a 24-hour news channel! Excellent article–Keep up the great work!